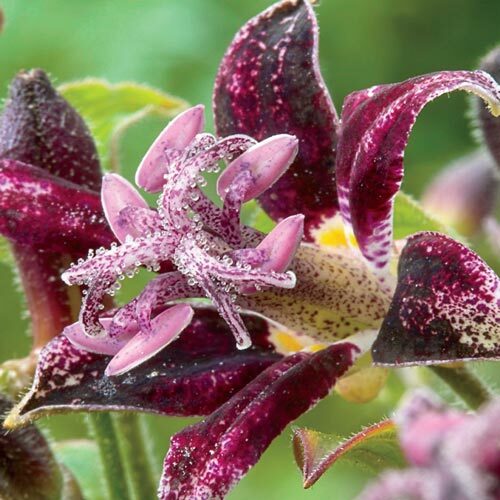 Our favorite toad lily! This vigorous grower produces pretty, reddish-purple flowers all over, not just at the top like some varieties. Ideal for woodland gardens. PP16257. Mulch +/- 2". Remove promptly in early spring.